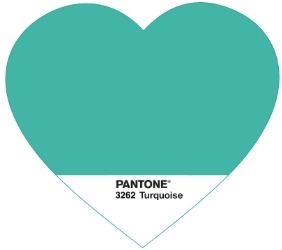 One of my favorite colors is turquoise/teal.... specifically Pantone 3262! I LOVE Pantone colors, so much so that I have recently created a whole Polyvore set dedicated to this wonderful Teal color. I think I might do a mini series of these sets with a number of Blue to Green Pantone colors that I absolutely love! Have a color you would like for me to feature? send me a message and maybe my next set will be your color!